Gucci's creative director broke his silence Tuesday over an $890 US sweater that resembled blackface, saying racism was never his intention. 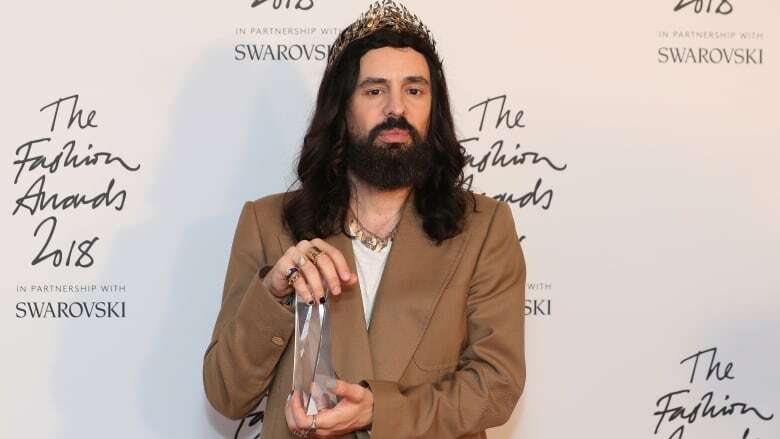 The Italian designer said he takes "full accountability" for the garment, which was pulled last week amid widespread criticism. The black sweater with a pull-up neck featured a cutout surrounded by cartoonish red lips. Michele wrote that it was not inspired by blackface but by the late Leigh Bowery, a U.K.-based performance artist, nightclub promoter and fashion designer who died in 1994. Known for his boundary-pushing performances and flamboyant face makeup and costumes, Bowery was a provocateur who intentionally sought to shock. In December, Prada said it was no longer selling a line of accessories that featured a character with brown skin and exaggerated red lips after complaints they resembled blackface. This week, singer Katy Perry's fashion line pulled shoes that garnered similar complaints from sale. "It was not intentional, but this is not an excuse. We make mistakes, and certain are worse than others because they offend people. The lack of knowledge of diversity and the consequent understanding are not at the level we expected, despite all the efforts we did inside the company in the last four years," Marco Bizzarri, Gucci's president and CEO, told WWD. The company is now "evaluating all the processes" to ensure "the right level of awareness and visibility" inform the creation process, he said. Bizzarri spoke of plans to introduce scholarships in major cities such as New York, Nairobi, Tokyo, Beijing and Seoul to "facilitate an increase of different communities within the creative office." As a company based in Italy, "we have to work even harder to make sure there are clear pathways for a global representation in our worldwide teams — and also in the regions," he noted. "Changing behavior, changing culture takes time. Even if we thought we were in a good position, we realize we have more work to do and we have to move faster."